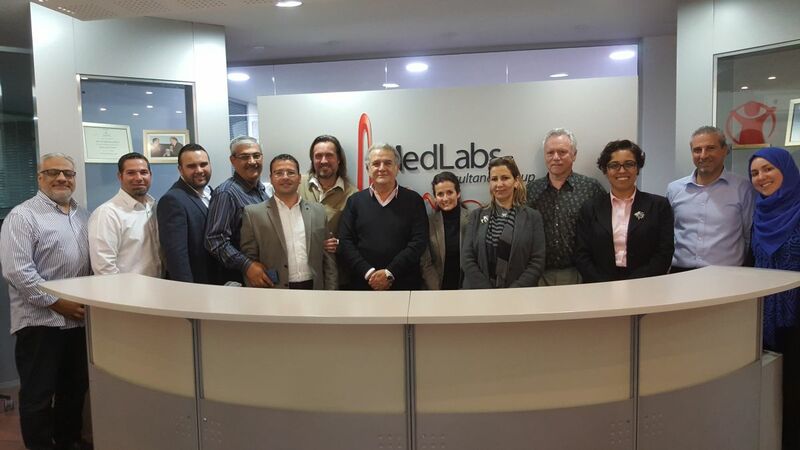 MedLabs, Middle East’s leading medical laboratory group has gone a big step forward to evolve its key management functions in order to actualize a more integral enterprise design, with CARE as its core value, and CARE FOR A HEALTHY SOCIETY as its main orientation. With the full participation of all function heads, under the leadership of MedLabs CEO Dr. Hassib Sahyoun and Vice President (and Trans4m Fellow) Manar Agha-al-Nimer, MedLabs committed to a process to evolve the Marketing and Quality Departments towards Community Building, HR towards Conscious Evolution, Science/IT/MaterialManagement towards Knowledge Creation; and Finance and the Referal Lab towards Sustainable Development. The central value of CARE has been articulated via four integral components: Community, Awakening, Research and Enterprise. These four components are now translated into MedLabs CARE circles – serving as a tool to catalyse the ongoing functional evolution as well as to strengthen cross-functional cooperation and innovation. 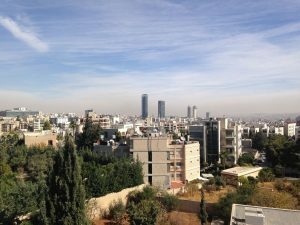 Gradually, the CARE circles are to be spread out in the entire company, involving every employee in the continuous renewal of the enterprise – within the framework and process of an Integral Enterprise contributing to society, in Jordan and the Middle East. Trans4m’s Ronnie Lessem and Alexander Schieffer worked with the MedLabs Management team for two full days, as part of a year long process to accompany the gradual transformation of MedLabs into a CARE-ing company. This process is underpinned by the PhD of MedLabs’ Manar Al Nimer, providing the theoretical foundation and cultural grounding of the new enterprise design. 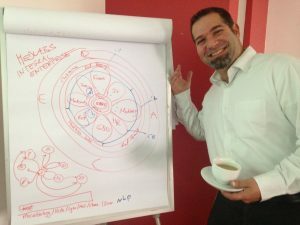 Agha-al- Nimer’s PhD itsself has then be evolved, with the help of Trans4m, into a PHD (Process for Holistic Development) journey, gradually involving the entire enterprise.